I am not a die-hard camping enthusiast, but I like to get outside every once in a while. Recent excursions include the Grand Canyon, Yosemite National Park, and the Colorado wilderness, where my now-husband proposed to me. My scrubbiest camping outfit and not a single lick of makeup – as you can see, I had no idea he was going to propose at that moment. 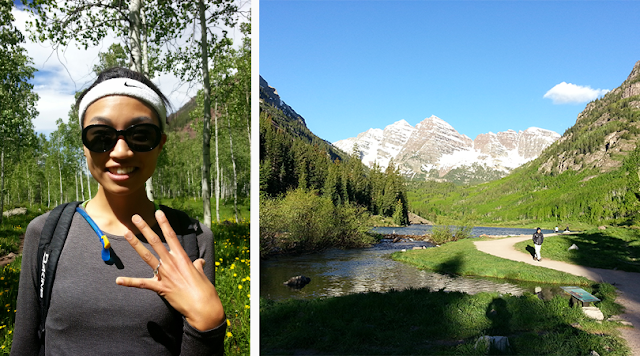 This happened at Maroon Bells in Colorado. When you’re in survival mode, skincare is probably at the bottom of your priorities bucket. How can you be bothered to slather anything onto your skin when you’ve got nature to contend with? The blazing sun, the biting wind, warding off predators, finding food – the whole camping experience is unfriendly to the lazy girl skincare regimen. Bring fragrance-free products. No one wants to attract mosquitoes or bears with scented products at the campsite. Bears have such a keen sense of smell that they've been known to tear open cars like tin cans, drawn by the mere scent of sunscreen. You'll have to store all toiletries – even if they're fragrance-free – in bear boxes if you're camping in bear territory. Cerave Hydrating Cleanser: This stuff is so gentle and soothing, I use it even when I'm not camping. A dime-sized amount should clean off any dirt or sweat from hiking, campfires, and other outdoor activites. Cerave Facial Moisturizing Lotion (PM): Spread a dime-sized amount over your face and body to calm down dryness from wind or sun exposure. You can use this lotion during the day, too, even though it's labeled "PM." I prefer to use this lotion with a layer of sunscreen rather than the "AM" version because the "AM" contains chemical sunscreens which break me out. 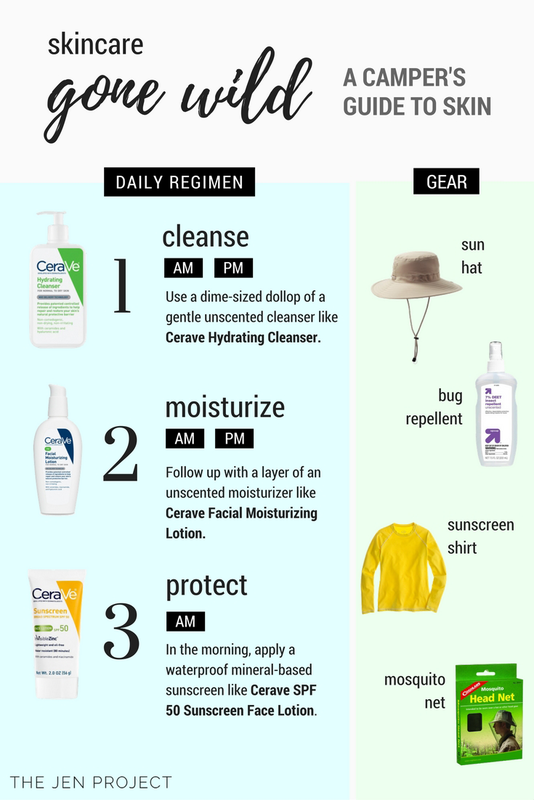 Cerave Sunscreen Face Lotion, SPF 50: The long-lasting mineral base, high SPF, and low price point make this sunscreen a camping staple. Note that it has a slight metallic smell, and it has a thick texture (not velvety like my HG Clarins sunscreen, which I don't bring on camping trips because it's not fragrance-free). For light coverage, bring a fragrance-free tinted sunscreen. I like MDSolarSciences MD Creme Mineral Beauty Balm SPF 50. Try these temporary lip tints and brow tints, which peel off to leave behind a "stain" that lasts for a few days. Apply these the night before you go camping, peel them off in the morning, and you'll be good to go with a soft, long-lasting tint on your lips and eyebrows. Haven't tried these myself yet, but I just ordered some from Memebox – stay tuned for my review in a future post. Stay protected from the sun. Wear a wide-brimmed hat and sunscreen all day. For extra protection, wear a sunscreen shirt. Keep the bugs away. Wear unscented bug repellent on your body and long pants / long-sleeved shirts. Since I have yet to find a bug repellent that feels OK on my face (essential oils break me out), I plan to wear a mosquito net over my head for my next long hike. 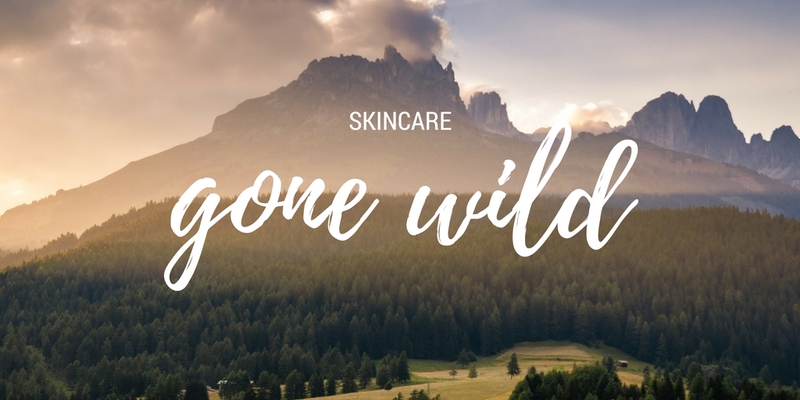 You may not come back from the wilderness with perfectly smooth, flawless skin. But there's something to be said for the sweeping views and fresh air that can only be experienced in nature. 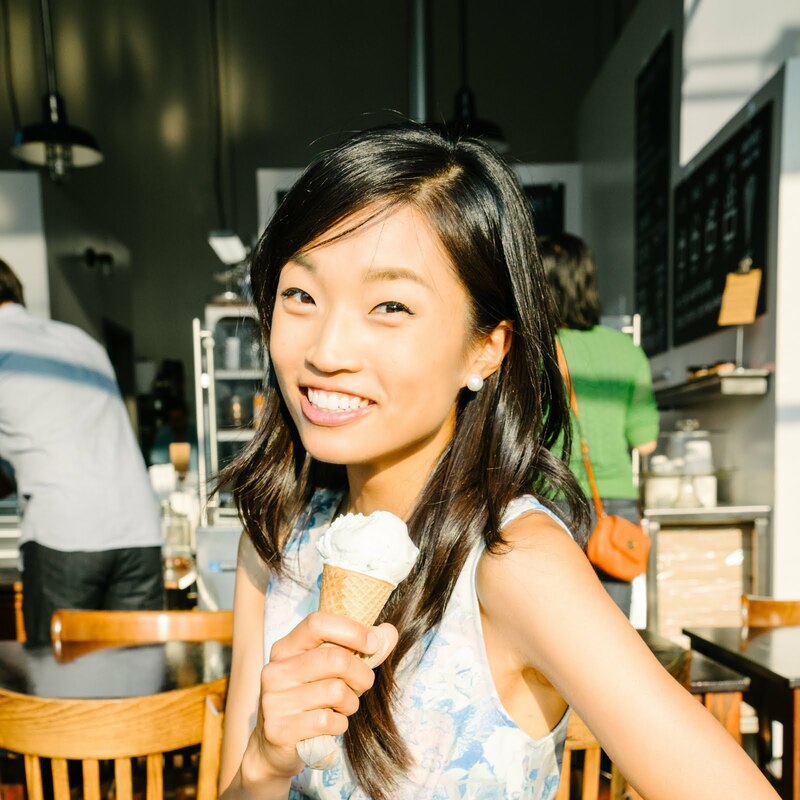 And who knows: spending time outdoors might give you a healthy inside-out glow that city-dwellers will envy. Cathedral Lakes in Yosemite National Park. Spectacular in person; my photo doesn't do it justice. I hope these tips are helpful for your next outdoor adventure!